Mission Springs is dependent on the generosity of ministry partners like you. We believe you have a heart and desire to support what God is doing in the lives of men, women, and children through our quality camping ministry. 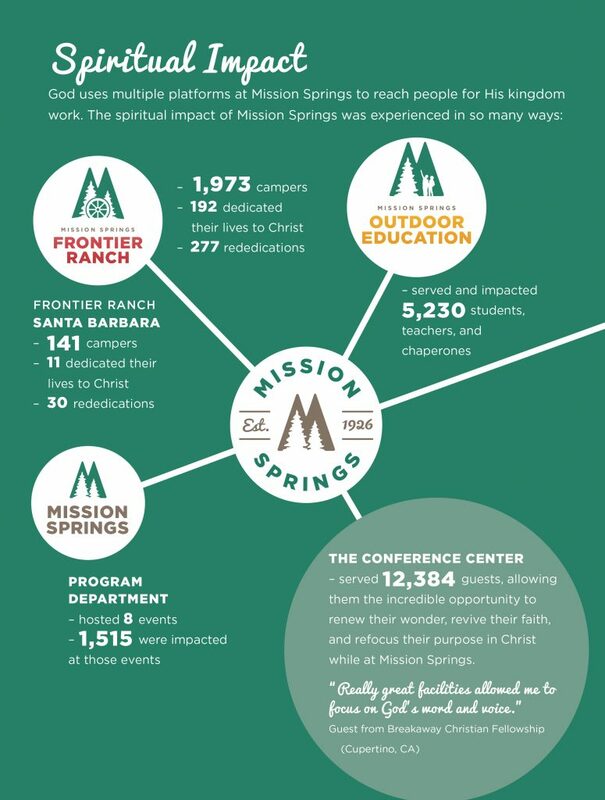 Here’s a quick snapshot of the Spiritual Impact from 2018 that you helped support. Thank you!